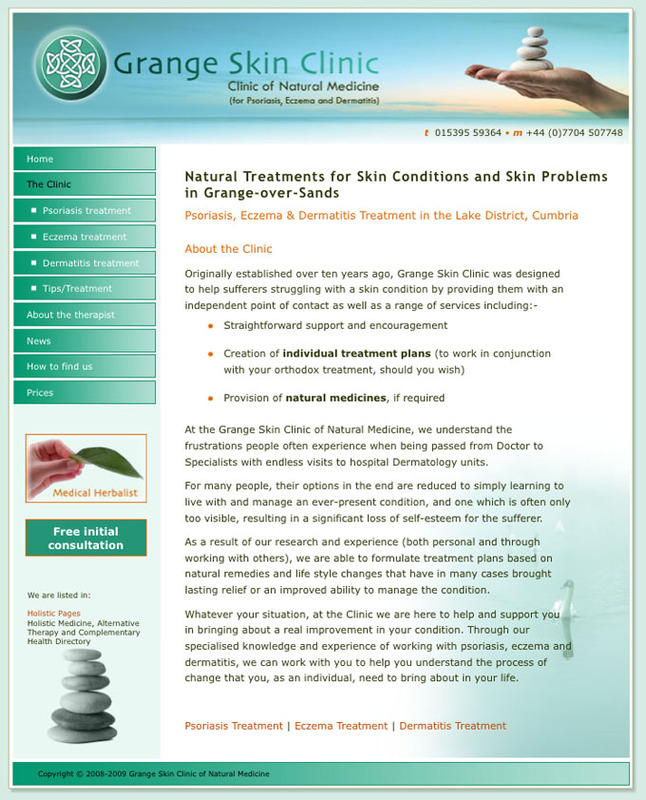 Grange Skin Clinic alternative treatments for skin conditions by Michael Shortt, Medical Herbalist. We produced a fairly simple logo with a celtic knot emblem as part of an attractive banner design. On our advice Michael added new pages to the site offering more information about various skin conditions along with tips and suggestions for natural treatments. We also designed a leaflet and business cards, as well as creating a simple location map in Illustrator for use in the leaflet.